An EB5 investor visa is an immigrant visa that allows an investor to obtain U.S. Permanent Residency, otherwise known as a “green card”, by making a qualified investment in a U.S. business. How Much do I Need to Invest in Order to Obtain an EB5 Visa? As of November 2014 you will need to invest either USD 500,000.00 or USD 1,000,000.00, depending upon where the project you invest in is located. How Can I Avoid a Potential Increase in the EB5 Investment Requirement? While there is currently no scheduled increase in the minimum required EB5 investment there are indications that the United States Congress may increase the required minimum investment from USD 500,000.00 to USD 800,000.00 in 2015. Investing and filing form I-526 in advance of any limit increase can potentially insulate an investor from any limit increase. Upon request Davies & Associates can keep you up-to-date in terms of the news of pending change in this area. Can I Invest in My Own Business and Obtain an EB5-Based “Green Card”? While the overwhelming majority of EB5 “green cards” are obtained through an investment made using the Regional Center program it is possible to invest in your own business. Investing in your own business is known as filing a “Direct” EB5 case. The rules for a Direct EB5 are slightly different and more complex than those for making an investment through a Regional Center. What are the Advantages of the EB5 Regional Center Program? The ability of a Regional Center to use indirect job creation methodology. The ability of Regional Centers to obtain pre-approval of their project templates. The very “top” Regional Centers have processed thousands of I-526 approvals and a large number of I-829 approvals with no project-related failures. Caution – Regional Center Selection! With proper advice and due diligence the Regional Center program can be the fastest and sometimes most secure route to a green Card. Without proper advice and due diligence it can also be a disaster. Unfortunately many investors are poorly advised when it comes to selecting a Regional Center. Often immigration lawyers are not independent, are compensated by particular Regional Centers or are not qualified to advise their clients on the legal side of financial due diligence. The solution is a simple one of choosing the right advisors. Investors with the very “top” 2-3 Regional Centers have historically had their “green cards” approved and their capital returned without complication. Investors choosing to use unproven Regional Centers, often with the aid of conflicted or inexperienced professional advisors, have faired much less well. As at the time of writing there are approximately 600 Regional Center registrations. This number is up from approximately 300 Regional Registrations just a year ago. While Davies & Associates is not a financial advisor and cannot make financial recommendations, for immigration and finance law reasons we encourage our client only to work with less than the top 1% of Regional Centers. How Can I find out About Regional Centers? As a law firm experienced with EB5 investments Davies & Associates can provide you with the track history many of Regional Centers and can provide you with appropriate due diligence on them. A licensed financial advisor can advise you on the financial strengths of any project you are looking at. One of the key issues in EB5 cases is evidencing that the funds used for the EB5 investment were lawfully obtained. Davies & Associates assists Italian National EB5 clients from all over the world satisfy this requirement. Our firm has proprietary processes and develops unique documentation in each case in association with Italian lawyers and accountants. The first form filed with the United States Government in an EB5 case is form I-526. Upon approval of form I-526 you will become eligible to apply to adjust status to conditional “green card holder” or to apply for an immigrant visa at a U.S. consulate abroad. As the U.S. consulate in Rome maintains unique procedures for this process Davies & Associates has a location in Rome and stays constantly in touch with the requirements in the Rome consulate. Two years after your conditional “green card” is issued you will need to apply to have the conditions on your temporary “green card” removed. Can I Apply for an EB-5-Based “Green Card” from within the United States? Consular Processing. 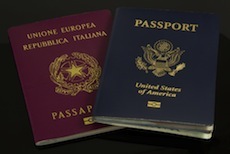 Most Italian EB-5 applicants apply for an immigrant visa using consular processing outside the United States. Adjustment of Status. While there are complex considerations you need to review with an experienced immigration lawyer it is possible to adjust status to “green card” holder from within the United States. 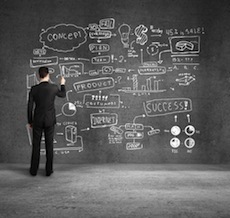 Do I need a Business Plan in an EB5 Case? If you are filing your EB5 application through a Regional Center then that Regional Center will produce the project-related documentation required to file your I-526. If you are filing a “direct” EB5 application then you must file a business plan that is entirely compliant with applicable immigration laws and regulations. Further you need to contemplate compliance not only with the applicable laws and regulation when you file your application but in two years time when you file form I-829 to remove the conditions on your “green card”. Davies & Associates has a specialist immigration business plan team who assist our clients with this critical step. It is critical for all EB5 applicants to take tax planning advice in relation to both U.S. and Italian taxes. 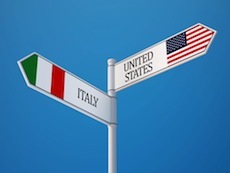 Davies & Associates can facilitate both applicable Italian and U.S. tax planning advice. What is Davies & Associate’s Record with EB5 Visa Applications? While many law firms claim to file EB5 applications the truth is that few law firms file more than a handful of EB5 applications each year. Davies & Associates files a large number of EB5-based “green card” applications and, to date, no application we have ever filed has been denied. 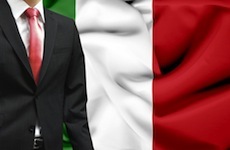 While certain parts of the EB5 application process occur entirely within the United States, the U.S. consulate in Rome can also play an active role in some elements of the process. The ability of a law firm to work both in Rome and in the United States is therefore highly beneficial and sometimes essential. You have been physically present in the United States for two and one half years of the five year period.